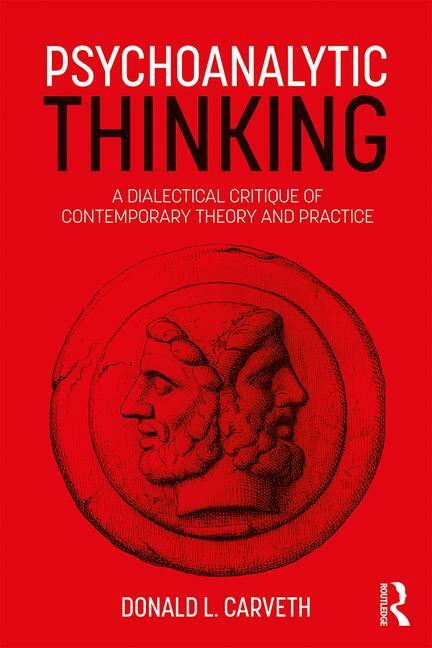 "Psychoanalytic Thinking is a bold and fascinating exploration of diverse trends in contemporary psychoanalysis; one firmly grounded in the history of the discipline. Carveth’s fearless critique of authoritarian trends in psychoanalysis, past and present, is balanced by refreshing reminders of the emancipatory power of truth, the dangers of postmodern relativism, and the importance of differentiating between the superego and conscience proper. And much, much else besides. "-Daniel Burston, Ph.D., Department of Psychology, Duquesne University. "Internationally respected, Donald Carveth is one of the most original and penetrating psychoanalytic theorists in Canada. Among his notable contributions, he has added the concept of conscience to Freud's notion of the super-ego to produce a picture of moral psychology much closer to complete than Freud's. And he has made Lacan intelligible to English-speaking students of psychoanalysis in a way that few if any others have done. As is true of most prolific authors, Carveth's works originally appeared in a great variety of different publications, some no longer easily accessible. Having a large sample of his work available in one volume is a cause for celebration. "-Andrew Brook, Ph.D., Chancellor's Professor of Philosophy and Cognitive Science, Emeritus, Carleton University, Fellow and Treasurer, International Psychoanalytic Association. "The publication of Donald Carveth’s Psychoanalytic Thinking continues what I have come to regard as a "Wittenberg moment" in the history of psychoanalysis, which began with his first book, The Still Small Voice: Psychoanalytic Reflections on Guilt and Conscience (2013). Like Luther in the Catholic world, Carveth has managed, with a trenchant logic that is rare in psychoanalytic writing, to "nail" down something fundamental, which I hope will alter the course of psychoanalytic culture in a positive and integrative way. "-Charles Levin, Ph.D., Director, Canadian Institute of Psychoanalysis (Québec English Branch), Editor-in-chief, Canadian Journal of Psychoanalysis/Revue canadienne de psychanalyse. III Is There a Future in Disillusion? Donald L. Carveth is an Emeritus Professor of Sociology and Social and Political Thought and a Senior Scholar at York University, Toronto, Canada. He is past Director of the Toronto Institute of Psychoanalysis and a past Editor-in-Chief of the Canadian Journal of Psychoanalysis/Revue Canadienne de Psychanalyse.